For over thirty five years we have provided clean well cared for units at affordable rental rates in Danville, IL. Most recently we purchased The SunSet Cove Apartment Community (116 units) located at 2200 North Vermilion and sits on the east shores of Lake Vermilion. 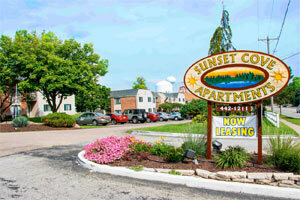 We strive to give our tenants the best experience in quality, comfort and great locations. Whether you are looking for a long term rental, furnished corporate housing or wanting to settle into a beautiful home, Heartland Properties has many options that will fit your wants and needs. 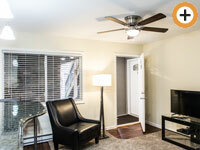 Extended Stay Apartments are geared towards professionals conducting business in Danville or east central Illinois. The benefits from choosing extended stay, rather then residing at a hotel/motel is cost, accessability and the feeling of comfort in your own place. For stays of 30 days or longer please contact our office directly, for stays of a few days through a week, we also offer programs though Airbnb. 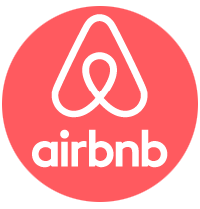 Check out our corporate/extended stay availability reservations calendars on this site, any open availability in the next 30 days, can be booked though airbnb. Additional units can be available within our "Pop Up Corp Units" that are intermittent units beyond our set number of "Extended Stay Units"
Quiet and charming apartment community on the shores of Lake Vermillion. Featuring one and two bedroom units - Level 1 (See decore package to the right for new amentities) These units range in price from $589 to $750 and Level 2 ranging from $659 to $825. Convenient location on North Vermilion, all within a short distance to many retailers and restaurants. A great scenic place that you can call home. Pets up to 20 lbs may be accepted on LEVEL 1 Units ONLY. Learn more about this exciting new property LEVEL 1 and LEVEL 2 upgrades shown on the table to the right. Level 1’s are repaints on steroids and taking around 2 weeks to complete. See chart to the right on minimally what can be expected on each level of upgrades. Level 2’s are gutted to the studs and built out as new units, time to complete is 6-8 weeks once construction has begun. We are Beginning 15 units in building 3 ranging in sizes from small 1 bedrooms, large 1 bedrooms and 2 bedroom 1 bath. Call Wendy or Marie at (217) 442-3266 to learn more about this fabulous opportunity! Below is a list of available units now vacant that are in process of being updated for re-rental by Heartland Properties. Finish time may be less than listed below on “FUTURE AVAILABLE”! Stop in and see our new model unit now open in building 5 directly adjacent to North Vermilion. This model has been completed to level 2 standards. LEVEL 2’s - NEW UNDER CONSTRUCTION! Learn about this 1 bedroom unit for rent! LEVEL 2’s - NOW AVAILABLE! 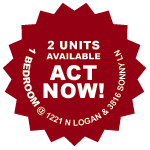 Learn about this 2 bedroom unit for rent! Premium Apartments Located in North Medical District Across from The Desirable Maywood Subdivision. Renovation in progress, new open kitchen layout with granite high bars, appliances include glass top stove, built In microwave ovens, energy star refrigerator, dishwashers, and In the wall AC units. 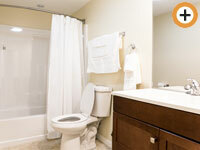 All units are equipped with rear patios or second story balconies, new enlarged bathrooms. Learn more about this 2 bedroom apartment. Non-smoking building located in the Medical district on a quite street north of Lincoln Park. Entirely renovated with new windows and doors, Kitchen Cabinets, counter tops, new bathrooms, new appliances including glass top stove, refrigerator, above the range microwave, and disposals. New flooring with laminate hardwood at entrance and throughout kitchen, with Dense pile carpeting though out. 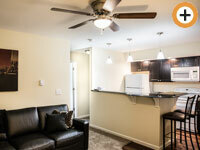 Learn more about this 1 bedroom apartment. This apartment has been totally renovated to like new condition, including on sight coin laundry facilities and lighted off street parking lot. Located in desirable North Danville on a quiet street within a beautiful residential area of homes. Learn more about this 1 bedroom unit for rent! All future available units are now listed as currently available. When we learn of any units that will become available, we will let you know. Please check back to learn about the future availability or look under "Now Available" to learn what is currently available. Beautifully renovated affordable one bedroom apartment in south Danville. Conveniently located just minutes south of I-74. A home with value, comfort and convenience boasting new energy efficient windows and doors, new appliances, air conditioned and your own patio. Newer Complex completely renovated 2 bedroom apartments, private patios, freshly painted and all new flooring thoughout, just west of Down Town Danvlle, and south of the Medical district. Newer appliances, and laundry hook up in each units. Located in Danvilles medical district, within walking distance of Lakeview College of Nursing and Lincoln Park with its many activities. 1 bedroom ranch style apartments boast new appliances, laundry facility on site, a/c, ceiling fan, patios, and off street parking. Renovated, new open kitchen layout, appliances include glass top stove, built In microwave ovens, energy star refrigerator and In the wall AC units. Wired for Comcast Cable service and low $26/month Sanitary cost. All units are equipped with rear patios or second story balconies. This unit offers the convenience of an apartment, but privacy of a house. Each unit comes with laundry hookups, private backyard patio setting and a single car attached garage (Due to limited parking future occupant should only have one car). Located in Danvilles medical district, within walking distance of Lakeview College of Nursing and Lincoln Park with its many activities.